The force of an impact causes your body to move in ways it’s not designed to. These motions can lead to a sprain, strain and other damage to the ligaments, muscles and joints. An auto accident can cause misaligned vertebrae of the spine and a loss of curvature in your spine. Did you know that chiropractic is the only profession that can deal with problems stemming from misalignments in your spine, and can correct them to prevent future degeneration? Dr. G will alleviate your symptoms of pain while rehabilitating your spine. You’ll be able to recover and minimize any scar tissue from forming in your ligaments and muscles. 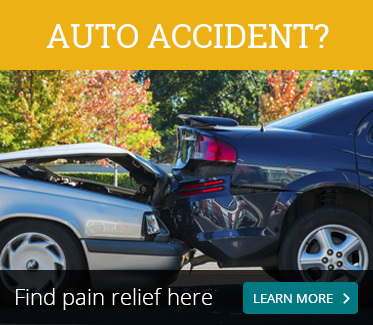 Many people might think they feel okay after an auto accident. 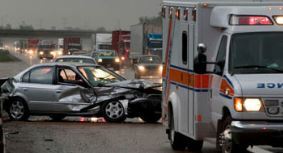 The problem is that the biggest issues caused by auto accidents aren’t immediate. The more important consequences occur later from the residual effects of whiplash. If left untreated, whiplash can lead to early disc degeneration, instability, permanent loss of range of motion and joint mobility, nerve damage, early signs of arthritis and a loss of spinal curvature. There’s no reason to wait to be checked by a chiropractor! X-rays can be taken on-site if needed. If you’ve been to a hospital previously and had X-rays taken, please bring them in with you. Chiropractic treatments and adjunctive therapies are offered at our office. If necessary, we can refer you to our network of specialists. Your recovery time will vary depending on the severity of your condition, age and pre-existing conditions. Some patients recover in six weeks while others may need months. You shouldn’t need to worry about details like insurance coverage when you’ve been hurt in an accident. We work directly with insurance companies to cover your care. Our office routinely consults with teams of other health care professionals that we can refer you to when needed such as Orthopedics, Pain Management and Neurosurgeons. If MRIs or any other diagnostic tools are necessary, we’ll make sure you get them. We’ll also work directly with your attorney, providing all needed case notes directly to them. You may be left without a car if you were involved in an accident. To make it easier than ever to visit our office, for Personal Injury Clients we provide transport to and from your appointments. Have you been hurt in an accident? Contact us today to discuss the solutions we have to offer you.